Posted on 29th November 2017	under Blog. The icall suite application integrates with your phone system, offering your business greater insight and control of your communications. Users can view real-time and historical call data, see the status of other extensions and caller activity. Having access to all that information means you can run your business more efficiently and identify areas for improvement. 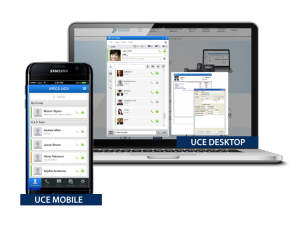 icall suite can fully integrate with our cloud-based phone system – KloudPBX. The reporting features of icall suite mean you can establish when business is busiest with a high volume of incoming calls and the hours of the day when it’s quiet. 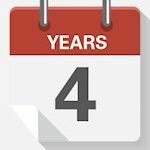 By reviewing past performance and “what if” calculations, a business can plan how many employees would be required for the predicted volume of calls during that day (based on past trends), and the best time of day to work. The comprehensive reporting system provides a clear overview of your communications and creates custom reports to display data required. Real-time monitoring – all calls and events can be monitored as and when they happen. Custom dashboards – focus on the information that matters to you, e.g. longest call, highest-achieving employee and amount of missed calls. Unique widgets – create a widget for real-time or historical data in a clear and interesting way – ready to share with others. According to research, businesses lose around £90 million a year due to missed calls. Many SMEs can’t afford this missed business opportunity. Incoming calls simply need to be answered as quickly and efficiently as possible. Missed calls can lead potential customers to contact a competitor who’s more responsive. The missed call report provided by icall suite provides a list of missed calls by extension number, flagged as unreturned and giving the opportunity to call the customer back. This call-management application could save your business hundreds of pounds a year. For the ultimate customer service, it is important to analyse customer call data to be able to offer a more personalised assistance. icall suite can easily integrate with your CRM, computer and telephone system. This seamless integration allows for partnering incoming calls with contacts in your database, displaying their details before the call has even started. This information could include their name, dialled number, notes, image, email or company name. Your agents will be able to professionally and personally greet the caller. This tool particularly helps businesses with a large number of inbound and outbound calls. More efficient routing and transferring of calls – incoming calls can be routed to the right agent depending on the caller’s location, demographics, job title etc. Contact us today for a free demo or speak to one of our specialists about upgrading your telecoms.